Accidents happen whether you’re prepared or not. Pittsburgh Corning is dedicating August’s Safe at Home Week to help families develop a plan to reduce their risk of accidents happening and make their home safer. “As a leader in glass block home improvement products that stand the test of time, safety is important to us. We want to take this opportunity to share with you some things you can do to minimize your risks of accidents at home,” says Mary Lynn Bruce. Store medicines, cleaning products and any other toxic items that you might have in your home in locked cabinets that are out of reach of children and animals. o Keeping hallways and stairs free of clutter. o Wiping up spills immediately. o Tacking down small carpets or throw rugs or eliminating them entirely. o Adding exterior lighting to pathways. o Adding non-slip surfaces to your bathtub and shower. Have regular fire drills at home so that everyone knows how to safely exit the home in case of an emergency, and specify a meeting place outside once clear of danger. Check the batteries in your smoke alarms and install carbon monoxide detectors as needed. Prepare your house for every season. Add exterior lighting to illuminate the area around your home. Install GuardWise Basement Security Windows in your home to prevent break-ins and reduce damage caused by flood waters. 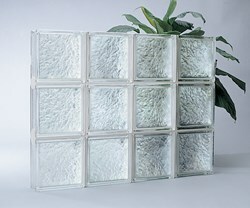 Pittsburgh Corning’s glass block windows are thick and break-resistant enhancing the security of homes. Other benefits include their thermal efficiency which reduces energy costs and helps keep homes comfortable, privacy with natural light which brightens rooms and eliminates the need for curtains, efficient sound barrier that reduces noise from outside keeping homes quiet, and their versatile pattern selection great for bathrooms, kitchens, garages and door sidelights. “Pittsburgh Corning has spent three quarters of a century developing glass block products and systems that keep people and properties safe and secure,” says Mary Lynn Bruce. Visit the National Safety Council for more information on how to make your home safer.